Most people have probably played some form of online game, especially a "social" game within Facebook. I first got to thinking about these games when a member of the security group I'm in (SPARSA) gave a presentation on editing Android APKs. One demo he gave involved editing the list of approved words in Words with Friends, a Scrabble-like game on Facebook. That demo was done by decompiling the Android APK, editing the source files, and recompiling it. However, since the game had an online counter-part, I wanted to see how Facebook games were sending and receiving their data. As I mentioned, this application involves playing what is essentially Scrabble with your Facebook friends. To play, a player must use an actual word. On the mobile version, the word is checked against a list of approved words stored within the APK. On the desktop version, the word is sent off to the Zynga's servers to be validated and a response, either valid or invalid, is returned. As it turns out, intercepting this "word check" is surprisingly simple. In the presentation below, I walk through the steps of intercepting and modifying the GET requests to allow any word to be validated properly, essentially permitting the playing of any word. In just three hours, the sixth most-visited website on the Internet will transform from a vibrant, virtually unending stockpile of knowledge into a single, blacked-out page. I am 19 years old; since the day my eyelids first fluttered open, technology, computers, and the Internet have been a fact of life, growing at a speed that is incomprehensible to the very people that created it. Over 30 hours of video are uploaded to YouTube every single minute; historic events are now measured in Tweets per Second; Facebook processes more pictures in a single day than there are people on this planet; and the amount of information created, shared, and stored in this year alone is greater than the amount of information created since the dawn of time. I've watched as cities of information have blossomed overnight, built on the social structures of human interaction and desire for attention. I have seen technology connect people, improve lives, save lives, create and destroy relationships, even start and win a revolution. And yet I never imagined that my government, the same government that denounces censorship around the world and that fights for undeniable human rights, would bow to the pressure of the collective corporate world and attempt to pass a law that destroys the very vibrancy and freedom on which the world's network is built. But here we are. We're at a period in technology history where we are effectively handing control of a network so complex it requires an army of experts to maintain, to elected officials who could be our parents. We are watching as they fumble about, unable to understand the technological marvel and complexity that allows this network to run. Most of these people could not define the word "domain," much less understand how such a trivial-sounding word comprises the structural integrity of the Internet. They are failing us because corporate studios in Hollywood are spending millions of dollars to convince them that a piece of legislature will solve the problem of piracy. Instead of focusing on the underlying causes, these corporations have managed to persuade many Senators and Congressmen to vote on a bill that will cause unimaginable damage to the integrity of the Internet as we know it. A few years ago, I learned about the immense censorship that occurs in China. I saw two images, side by side representing Google Image results for the term "Tiananmen Square." On the left were the results as seen by Americans: bloody, gory images of a massacre. On the right were the results as seen by the Chinese: a few buildings, a monument, and a sunny sky. The fact that a government could actively suppress information from its citizens, especially information involving historic events, astounded me. I've continued to hear about the Great Firewall of China, a country-wide filter applied to the Internet access of citizens to prevent access to controversial information. And every time I read about this I was thankful that I live in the United States, a place where freedoms of speech and press are building blocks of this country. But today I am not so sure. It's hard to imagine living in a place like China; yet I fear if we wait long enough, without acting, we may someday learn. SOPA would not censor political sites or hide information from the American public; it's a bill aimed at stopping piracy. Piracy is certainly a major problem that needs to be addressed. However, SOPA would put into place a simple and effective mechanism of shutting down websites without appropriate processes. For demonstrable evidence of this, just look at Wikileaks. With a simple phone call, our government turned pay processors and businesses against it without anything resembling a trial. If SOPA or PIPA passes, those in positions of authority will learn just how easy it is to destroy a website and eventually do just that. I am fearful that SOPA will evolve; it will turn from shutting down a few foreign websites for piracy into a massive effort to purge the Internet of compromising information or material "dangerous to national security." It wouldn't be difficult to convince a judge that a site should be banned and with a flip of a switch without due process, it would be. Previous generations did not grow up with technology; they did not rely on it or start revolutions with it. But the innovations and amazing changes it has made are ours and our children's. I am not content with handing control of this massive, powerful part of our lives to individuals whose vote can be purchased. We as a nation of students and teachers, employees and employers, and businesses and users need to take back control of what we have created. We need to prove to our elected officials that they are voting with our interests in mind, not those of corporate media. I am going to watch Wikipedia at midnight. I hope that those we have elected are watching also and that the strike made by a few websites is enough to voice our concerns loud enough for them to hear. I just hope they listen. I've been working on a project that uses non-traditional methods to detect a user's signed-in status to websites. When you visit a page like "http://reddit.com/submit," that page first checks to verify whether you are logged in or not. If you are already logged in, the standard "Submit" page is displayed. If you are not, the browser is redirected to the login page. My idea rests on the fact that this redirect takes time; not a significant amount of time, but at least a millisecond or two. If we could somehow record the loading times of these pages, we could, with a fair amount of accuracy, determine whether or not a user is logged in to a particular website. If you ARE logged in, the submit page will load quicker than the login page because no redirect is needed when the submit page is loaded. If you ARE NOT logged in, the login page will load quicker because the submit page requires a redirect and the login page does not. There are a few problems that prevent this script from being a 100%. First, despite an initial page load that doesn't count towards the load timer, caching of the browser is not fully predictable. One page may be cached more than another. Second, although the two page loads are performed within 1.2 seconds of each other, network and remote server conditions could change within that time, causing one page to load faster. This is more of a proof-of-concept than a reliable script, but it does show that a remote page could attempt to guess all of the services you use by loading remote pages in hidden IFRAMEs. When you post a link on Facebook, Facebook has a link fetcher / preview function that visits the website, grabs information about it, along with a thumbnail if available. If you post a bit.ly link, Facebook's fetcher is still able to follow through the redirect and grab the end-result information. Let's start with an example. 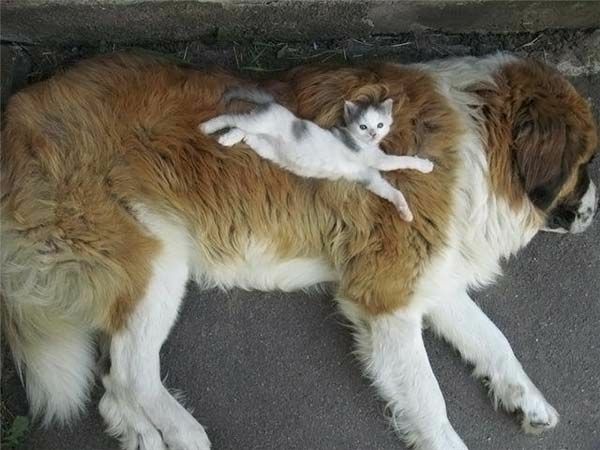 We have this lovely image of a dog and cat on Imgur (found on /r/aww): http://i.imgur.com/vwMRV.jpg. Out bit.ly link is: http://bit.ly/zrhnPz. Note that once the link converts to a preview, the original text can be replaced. Notice that the end link (imgur) is displayed and not the original link of bit.ly. But suppose we skip bit.ly and make our own redirect service. To demo this, I've created a site with a spare domain I have. It is located at: http://blasze.com/iplog/. This site is just a redirection service that logs visitor IPs. But if I was to have more malicious intentions, I could have a browser exploit on the page in between Facebook and the redirect. Then, Facebook's preview utility would successfully fetch the end link, but the user clicking it could be exploited. Let's take a look. My site generates a URL to post. Now, like in the previous example, I can edit the link and title and unsuspecting users will think it is a cute dog. However, they're actually being redirected through my malicious site (note: it's not actually malicious. It simply logs IP addresses to prove a point, but an attacker could compromise the browser). As you can see in this image, I have a click! The redirection was entirely seamless to the user, just like using bit.ly. But without them ever knowing, I have logged their IP, host name, and user agent string. This isn't terrible, but I could have used a browser exploit to compromise their system instead of just redirecting. But then wouldn't I be attacking Facebook's previewer too, since it visited the site? Well technically yes, unless I wrote a quick PHP script that simply redirects Facebook's IPs but attacks others. This is just a demo of something I realized. Please don't use it maliciously, but also be aware that any link you click on Facebook could actually go somewhere else that is not what the preview indicates. To help mitigate this problem, Facebook could include an additional warning on links that redirect. One of the provisions of the oft-talked about SOPA (Stop Online Piracy Act) was (until yesterday when Lamar Smith was convinced to remove it) DNS editing to prevent access by American ISP subscribers to foreign websites. Essentially, while the US does not have authority to physically remove a foreign site (at least theoretically), they can force US-based ISPs to block their domain name in the domain name resolution system, preventing people from accessing "somebadsite.com" and instead forcing them to use the archaic system of IP addresses. One of the biggest warnings from technology and security experts that came out of this provision was that people were going to begin using rogue DNS servers to access their content. News of how to bypass SOPA DNS restrictions would spread like wildfire, and soon, torrent-loving Americans everywhere would be using foreign-based, non-authoritative DNS servers to access content blocked under SOPA. This is a major security risk. It's something I think our elected leaders certainly failed to recognize (at least until recently). But it got make thinking of an entire market of services and applications where people are forced, because of the government or big-company regulations, to access the content they want in less-than-secure ways. Rogue DNS servers are not a terrible problem at the moment. They certainly exist, but due to the current freedom and openness of the web, people are rarely forced to search for or even concern themselves with them. Under SOPA, this would certainly change. But today, millions of people are constantly bypassing security mechanisms elsewhere, and it is having a huge impact on the security of their devices. Think for a moment of smartphones like Android or the iPhone and the Market and App Store that accompany them. Many wireless providers like Verizon, AT&T, and T-Mobile have a fair amount of control over the applications that can be downloaded onto their phones from those app markets. This fact has been highlighted recently as tethering applications are continually yanked from the Market. It's quite clear; the carriers do not want those kinds of applications to be used on their networks. But in reality, do you think the average user looking to use a tethering app is just going to... give up when it can't be found in the Market? Search Google for "tethering apps" and you will receive millions of hits. Almost every one of those hits includes links to APKs for tethering applications, the Android version of a .exe that allows the program to be installed on the device, bypassing the Market. These links usually include instructions on how to "side-load" the application. Side-loading is definitely a useful feature; developers use it constantly and it allows users to install applications otherwise blocked by the carriers. However, therein lies the security risk. The average consumer has no idea what side-loading is; they see it as a necessary step to get an app they want. They have been trained to leave the protection (or quasi-protection) that the Market or App Store provides and instead search for the applications they want elsewhere. In an effort to prevent their customers from accessing blocked content, Verizon, AT&T, and other carriers have just taught their users to download the applications from a less-secure source. Anyone can upload an APK that does anything. If a consumer finds out that by simply Jailbreaking his iPhone, he can access all the Apps he wants, why wouldn't he, especially when all he has to do these days is visit a single website to auto-jailbreak the device? This issue extends beyond just phones. People continually visit questionable, foreign-hosted sites to find TV shows, movies, music, etc. all because there is no legal, simple alternative. The RIAA and MPAA have a tight grip on the industry, but that grip is forcing people to turn to piracy and at the same time, insecure, often shady websites. The trend has become "if I can't do it legally or through my provider, search Google and blindly follow the instructions." This is bad. We have finally gotten to the point where most people are somewhat aware of banking scams, etc. But tell someone that they can watch the NFL online for free and they'll follow any steps necessary, including downloading malicious programs. The point here is that such strict regulation by companies like Verizon, AT&T, Universal, etc., not only forces people into piracy, but also into insecure lifestyles, if you will. They are unknowingly trained by these companies to find round-about ways of getting what they want with little or no thought to the security implications involved. You may not "download a car," but I can guarantee that if you label a virus "car," someone, somewhere will download it.